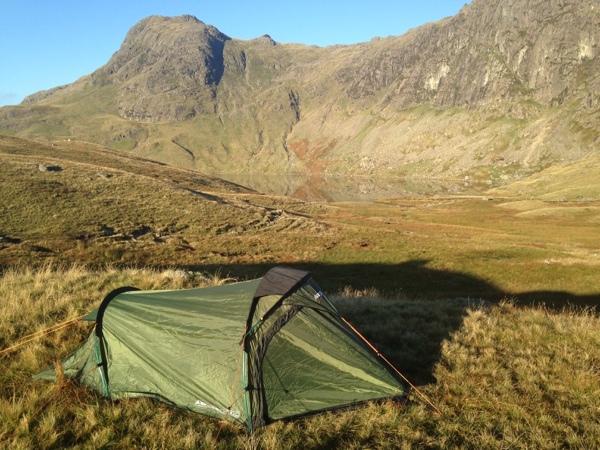 Having seen my twitter friend’s sunrise pictures from wild camping in the hills, I really wanted to experience it too. I must admit that I’m more of a hotel girl than camping girl! 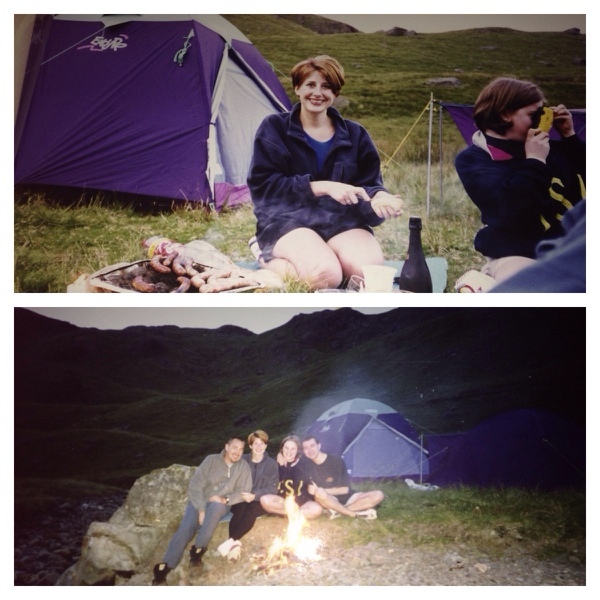 Technically I have wild camped before back in July 1997. I had buried the memories deep!! 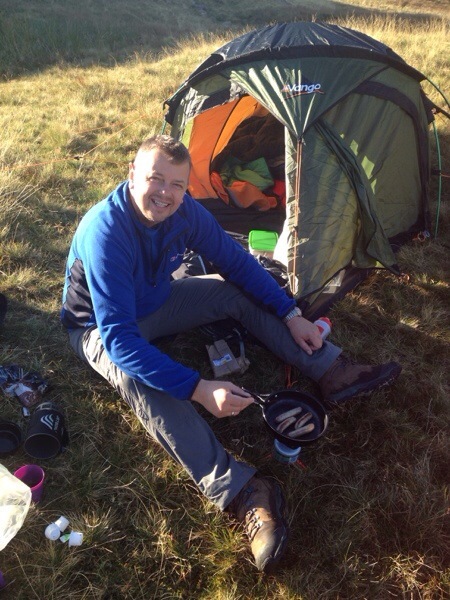 My now ex husband was very keen on the outdoors and was appalled that I didn’t get camping! After saying how do you know you don’t like it unless you try, I thought ok will give it a try just to shut him up. 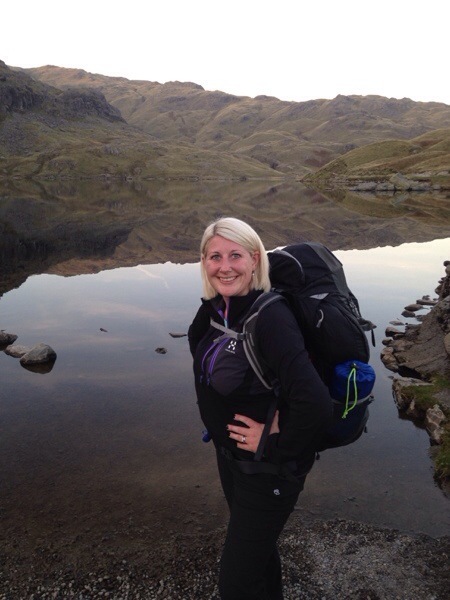 So with my best friend Lisa and her boyfriend at the time we set off up Stickle Tarn to camp as my birthday treat! This was the same birthday that my ex bought me a map and compass as my present!! So we set up camp, had some drinks and yes I thought this isn’t so bad. As you will see from the picture below, I had been persuaded to try something new by my hairdresser. I liked it for about 3 hours then cried wanting my blonde locks back! We live and learn! All was ok until it came to go to sleep, the ground was lumpy,it was noisy, I couldn’t sleep. I thought people actually like doing this?!! Then it poured down. To be back at the car was utter bliss as the nightmare was over. Lisa was very impressed that I didn’t go to the loo till I was back at the proper loos. 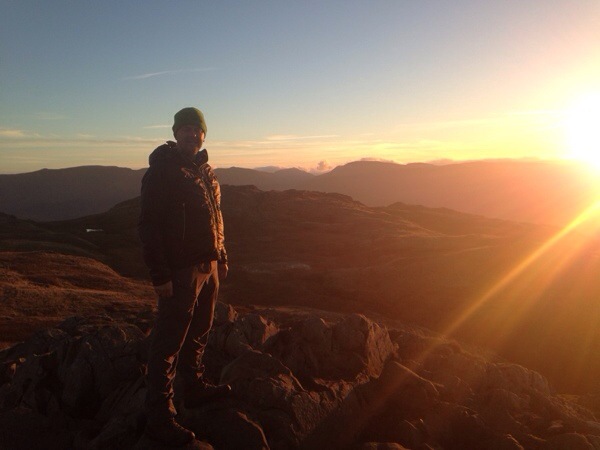 So fast forward a few years and here I am again at Stickle Tarn preparing to camp. After 2 previous failed attempts due to the weather we found a window of opportunity to tick this off my list. Personally I thought it was Mother Nature telling me to stick to hotels! 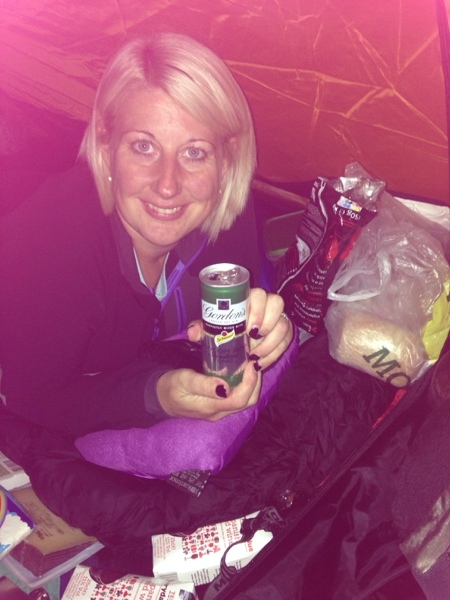 I did enjoy my camping experience at Kendal calling so I wasn’t fazed. So with kit sorted it was time to set off. 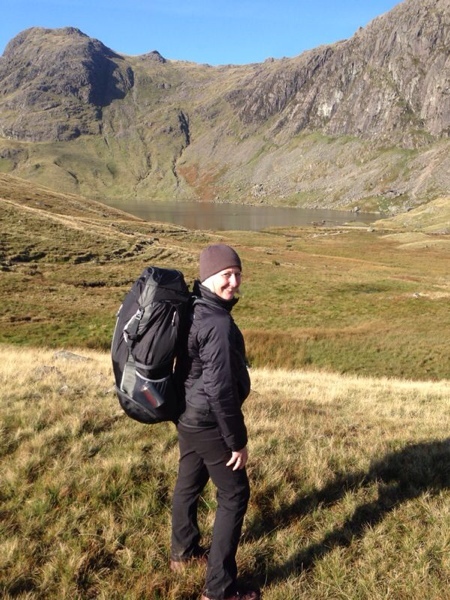 The rucksack was nearly as big as me and was much heavier than my usual rucksack. At some points thought I was going to topple over. 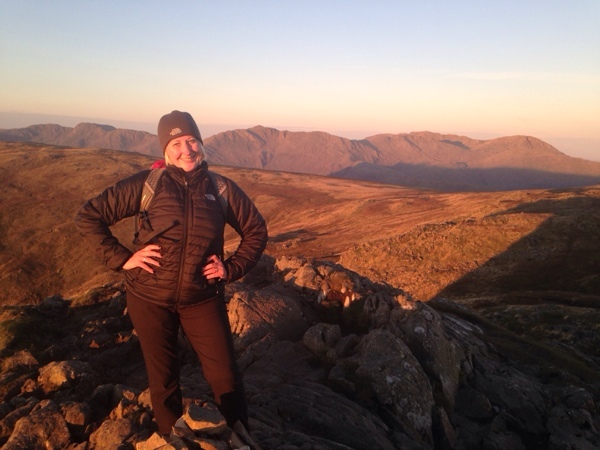 It’s quite a steep ascent up to the tarn but didn’t take too long to get to the top. I certainly was very pink and panting, but the stunning view made it worthwhile. Due to it being such a lovely night was not surprised to see other campers. But we found our spot and set up camp. 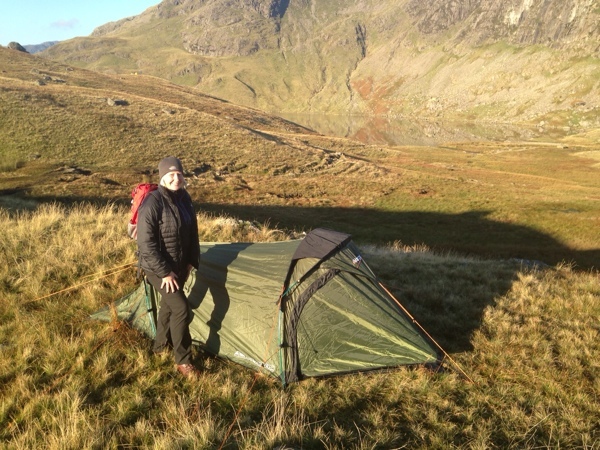 It was the first outing for our new Vango tent. The light was fading so time for supper and of course a girl needs luxury in the shape of G&T. Alarm set and was time to get some sleep. I did get snatches of slumber but it was broken. 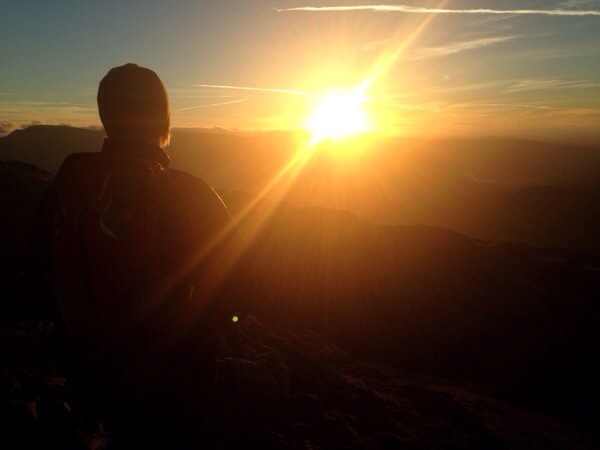 The alarm went off and it was boots on and off to catch the sunrise. 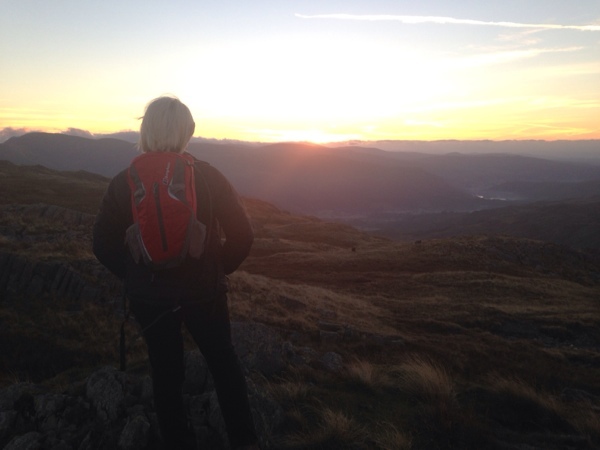 I had Sergeants Man and High Raise to tick off, so we made our way towards Sergeants Man and paused before the final ascent to take in the sunrise. 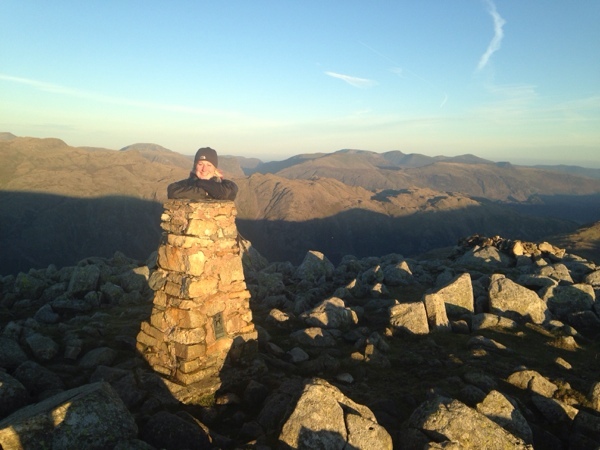 As the first rays of sun appeared, I was on Wainwright 110 Sergeant Man. 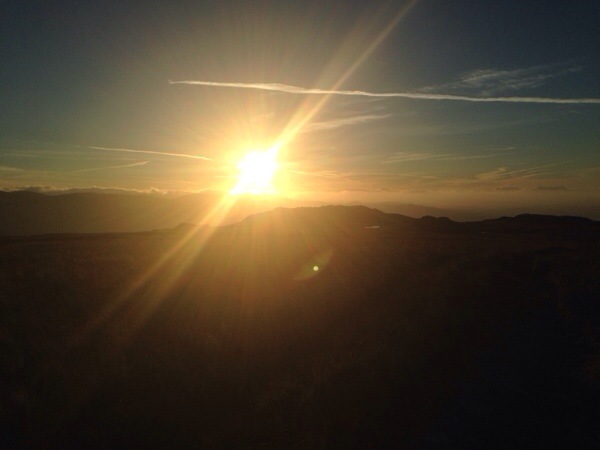 There is something very special about being on the hills before everyone else. 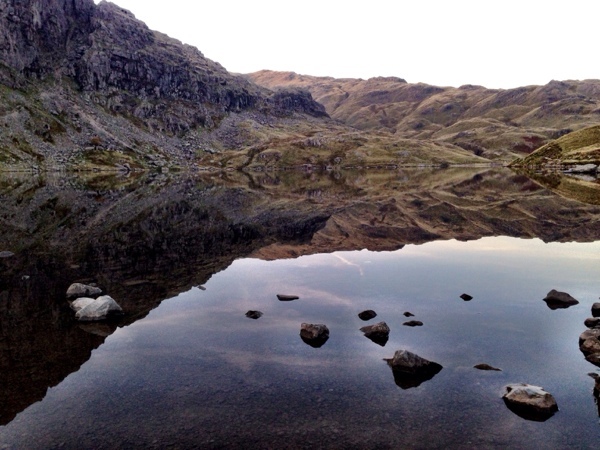 Then it was a short walk to High Raise, the lakes waking up. 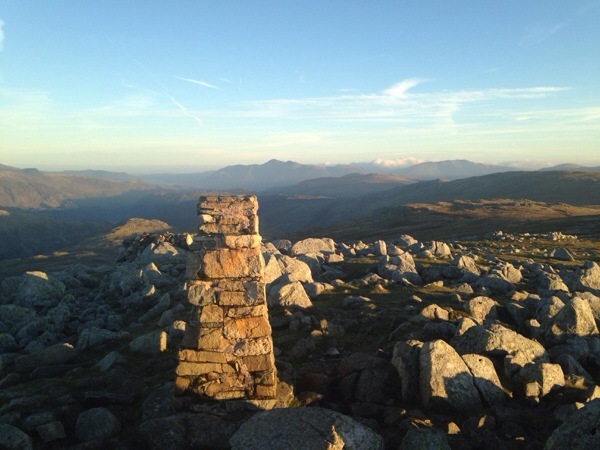 The views from High Raise were stunning. It was quite windy though on the tops. We went to take shelter but found it had been used as a urinal. Yes thanks for that. From here was a gentle walk back to camp and breakfast. 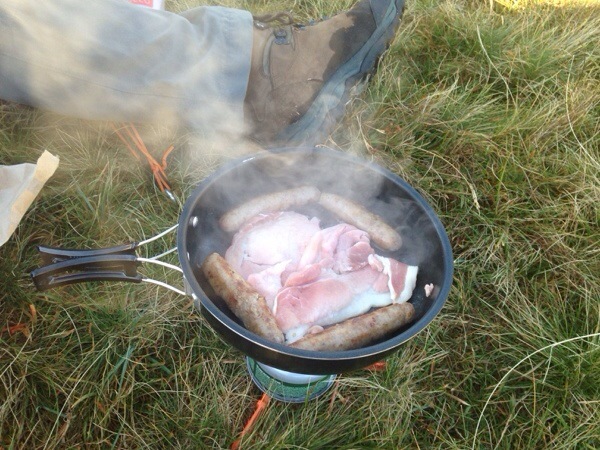 Nothing beats the smell of bacon and sausage cooked outside. 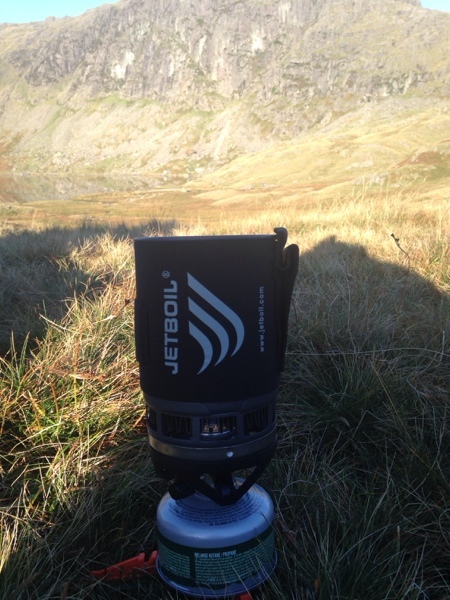 It was a perfect opportunity to try out the jetboil which was a gift when subscribed to Trail magazine. Wow what a piece of kit, will definitely be ditching the flask and take this out instead. camp and head back to civilisation and more importantly WIFI. The hills were starting to get busy on our descent. I even bumped into Matt who follows me on IG, this voice said hello I recognise you! Can’t go anywhere. 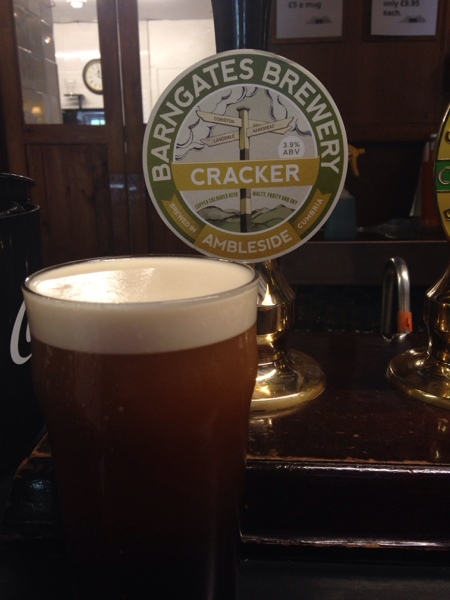 Back to the Stickle Barn and our walkers reward of a pint. So I will definitely try the camping thing again. Yes you heard me correctly! !